Unlimited PTO has become a trendy perk for startups to offer their employees. Often, it’s implemented because founders think it will be less administrative work or will help them compete with bigger firms for talent. Those things can be true, but from our experience of working with hundreds of small businesses, unlimited PTO can also present some unexpected challenges. If you’re considering an unlimited PTO policy for your employees, here’s the framework we’ve used to help our startup clients make the best decision for their business. Boosting your ability to recruit and retain top talent — With unemployment below 4%, employers must offer certain benefits to attract and retain top talent. If unlimited PTO has become standard in your industry, you may have to offer it to compete. If it hasn’t, providing this perk may give you the edge over other employers. Boosting morale, productivity, and profitability — Because it’s a “trust signal,” the promise of unlimited time off can boost feelings of autonomy among your team. That, in turn, can lead to more engaged workers, which has a positive impact on your bottom line. Avoiding unused PTO payouts when employees leave — When you don’t guarantee any number of vacation days, you don’t have to pay employees for days they didn’t use if they leave your company. This makes the offboarding process a little easier and less expensive. Simplifying the tracking process — If you create an unlimited PTO policy that lumps sick days, vacation, and personal time together, you relieve yourself of the administrative burden of tracking and approving various types of time off. This is especially compelling for startups handling HR with limited (or nonexistent) in-house HR staff. Some people may take advantage of the system — We’ve seen this happen, and it’s always difficult. For example, one employee may take off so much time that overall team productivity is compromised and other employees feel resentful. Untrained managers may never say no — In startups, managers may not have formal training for their roles. Because of that, they may not feel comfortable declining time-off requests if the official policy is that PTO is unlimited. Similarly, without training, managers on different teams may adopt different approval systems, which can lead to inconsistent experiences for employees. This, too, can breed resentment, as employees see their requests denied while their coworkers’ are approved. 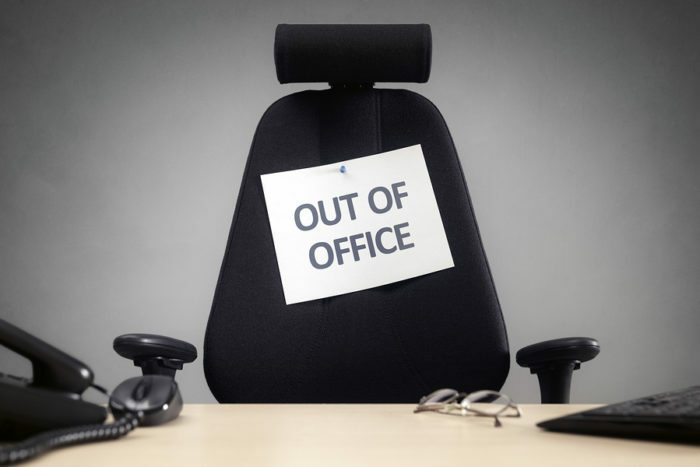 Bad timing of days off can have a disproportionate impact on revenue — Most businesses have busy periods, such as the end of the quarter, when there’s more work to do. A poorly executed unlimited PTO policy can leave a business understaffed at these crucial times, which may impact profitability. To avoid these pitfalls, employers must ensure there is strong coordination, sharing of vacation calendars, and a clear set of expectations across the business. Employees need to understand both the perks and the realities of unlimited PTO to ensure the business continues to operate smoothly. Of course, some of these pros and cons aren’t limited to unlimited PTO policies. And ultimately, that’s what we want you to understand: No matter how much time off you offer, it’s important to develop policies around that time to ensure that it benefits your employees and company without undue burden. Often, a company’s initial policy will evolve as the company grows. Establishing supporting policies — For example, is there a limit to the number of consecutive weeks off someone can take? How many people on a team can be off at once? Must all days off be approved by a manager? Are any days or weeks off limits? Further, make sure you also have a policy for parental leave and personal leave so there isn’t confusion about what’s considered PTO and what’s considered leave. Training managers on approval processes — Give them the resources they need to approve or deny requests in a way that aligns with your larger policies. Make sure managers have tools in place that offer visibility into PTO requests and allow them to easily communicate with others. Defining how PTO fits with other time off — There are laws at the federal and state (and sometimes local) level defining how much time off employers must offer for sick days and family care. Make sure your PTO policy accommodates these laws. Defining how and whether limited PTO accrues and rolls over — By calendar year? By time worked? No rollover? Full rollover? And so on. As with much of HR, finding a suitable PTO policy is less about following the latest trend and more about establishing a system that supports your larger business goals. And if a policy is not working for your organization, don’t be afraid to change it. In fact, we’ve found that unlimited PTO policies tend to work best for smaller companies and often become unsustainable after a certain point of growth. Regardless of your company’s size and culture, though, the goal of any PTO policy is to contribute to a workplace that helps you recruit and retain more effectively while ensuring a profitable bottom line. Bob Cerone is the founder and CEO of Cognos HR, a Chicago-based PEO and HR consulting firm that specializes in serving small and midsize businesses. He is an active mentor for leaders of early-stage companies and the Midwest Leadership Chair for the National Association of Professional Employer Organizations (NAPEO).